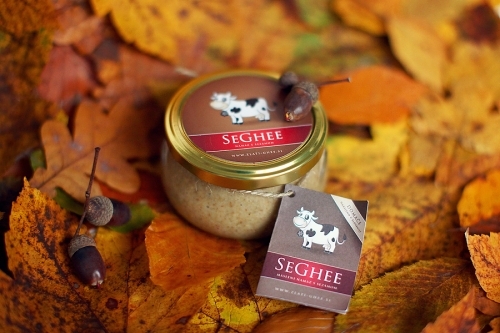 SeGhee is a spread made of Golden Ghee and ground roasted sesame. 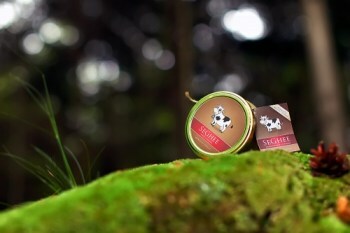 Due to its delicious and full flavour, as if it were dressed, SeGhee is a true gourmet delicacy. 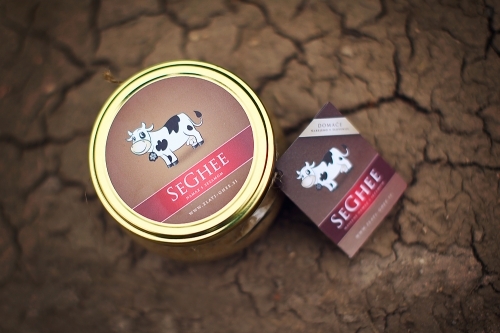 SeGhee is enriched with Himalayan salt, Piran salt flower and fine herb fragments (parsley, marjoram, savoury, basil, celery and lovage). SeGhee spread is an excellent source of proteins, which serve the renewal and replacement of various tissue. It is easily digestible (SeGhee has about 50% more protein than meat), as the body needs only 40 minutes for its absorption. SeGhee contains all the essential amino acids that maintain brain and nerve functions and stimulates the renewal and quality growth of tissue. It also contains vitamins A, D, E, K, F and vitamins of the B group, potassium, calcium, phosphorus, magnesium, lecithin and good cholesterol. Sesame and Golden Ghee are a splendid combination as sesame is the source of important vitamins and minerals and Ghee, on the other hand, increases their absorption. Sesame seed took over its reign among the seeds as early as the days of the Hanging Gardens of Babylon when it was used as a means of payment in many places. The Golden Ghee is a cooked butter or “žonta” (Old Slavic) and a healthy culinary gold that ranks among the top oils. In order to become the most versatile and imperishable oil or Golden Ghee, it is refined by hand and fire only. Ayurvedic medicine has been praising Golden Ghee for centuries due to its health and universality and to many people Golden Ghee represents the pillar of cuisine. SeGhee is a wonderful spread. A slice of bread, a salad leaf and the snack is ready. 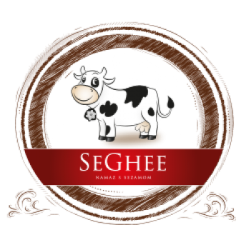 SeGhee gives great flavour to all kinds of sandwiches, salads, gravies and soups. It is also excellent with toast and as a side dish. SeGhee is nutritious and full of energy and therefore highly recommended for all sportsmen and climbers. SeGhee improves mental and physical performance, increases stamina, nourishes brain and nerve tissue, creates energy, improves functioning of the hypophysis and pineal gland and has good effects on mood and concentration. SeGhee is always prepared by hand and following our own first and only recipe. Ingredients: Golden Ghee, ground roasted sesame, Himalayan salt, the Piran salt flower and herbs: parsley, marjoram, savoury, basil, celery and lovage. The product must be kept at a temperature from 5 °C to 25 °C.